Beaches glisten beneath the moonlight, and sounds echo through alleyways of coral houses. 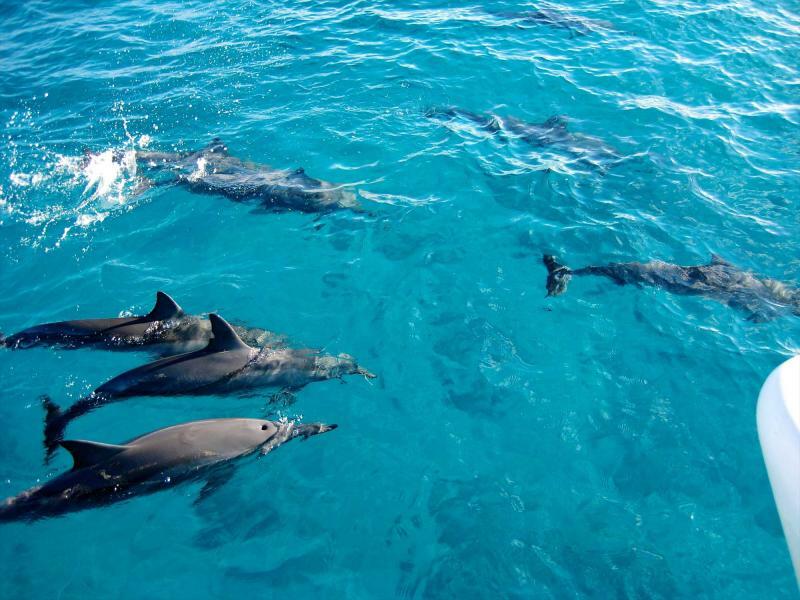 Wild dolphins will play as you swim alongside them, and tropical colors will greet you at spice plantations and reefs. Welcome to the most exotic island of them all, where white sand escapism meets ancient heritage in the Indian Ocean. 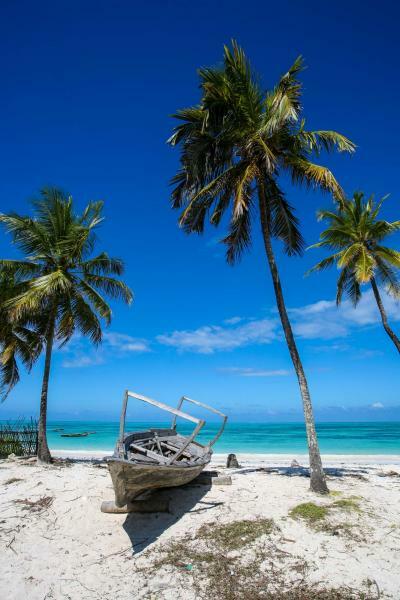 This one-week tour covers Zanzibar’s key highlights, having you stay at beaches on two sides of the island with three nights in Stone Town as well. 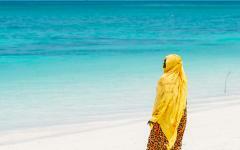 Zanzibar creates new definitions of exoticism. There are the beaches here that are blissfully white, broad, and empty. Unlike the other islands that are located in this ocean, you will not be boxed in by big resorts or aroused from slumber by the sound of jet skis. Instead, you will explore with traditional, wooden dhows, which are sailboats from another era. Most of the coastline is yet to be developed, so your footprints will be among the only ones in the sand. This is the standard exoticism of Zanzibar, which is something that helps to elevate your preconceptions of an Indian Ocean island retreat. Wildlife provides another unique aspect to your breathtaking journey. Wild dolphins regularly swim in the bay at Kizimkazi, and you can swim with them. Spice plantations provide new dashes of color, and the local cuisine has a striking flavor. The island’s great standout is to mix the coastline with exotic culture and history. You can also have a private beach escape on many islands. 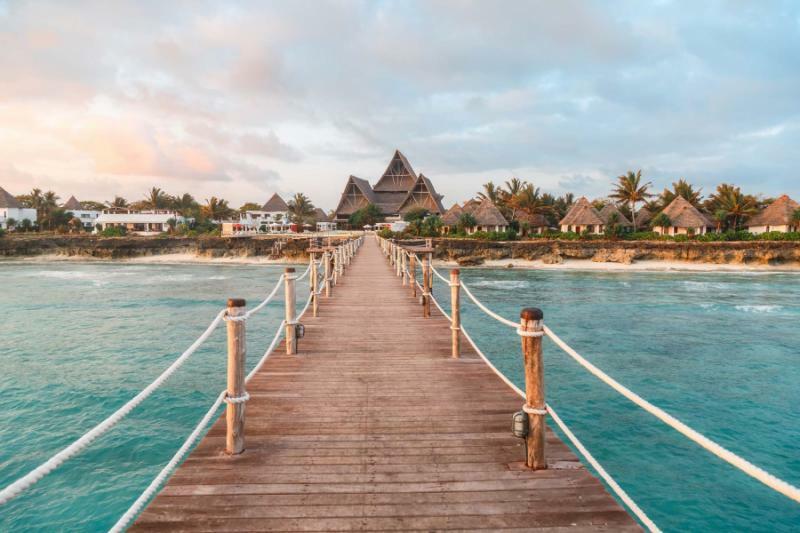 For instance, on Zanzibar, you can mix up the itinerary, immersing yourself in a culture that has evolved from Omani, Persian, Swahili, and European influences. 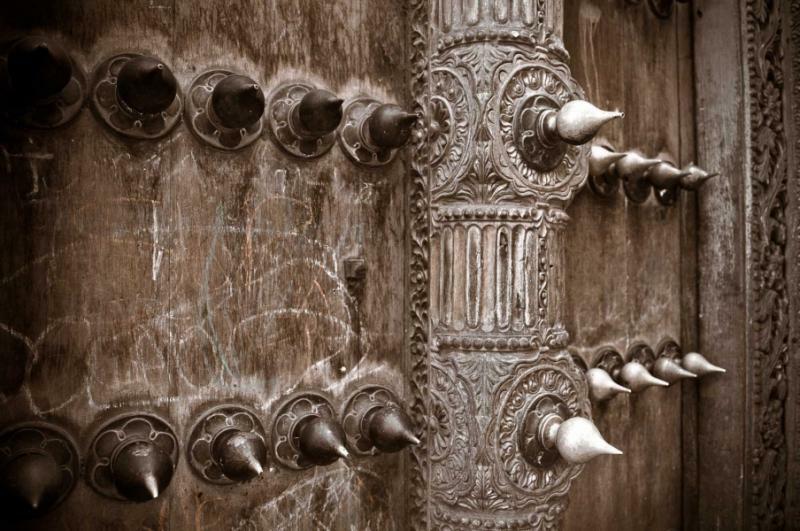 Taking a walk-through Stone Town will provide another definition of escapism, with ornate wooden doors that lead to coral houses. Think of sitting on a small terrace, sipping on local tea, and enjoying a moment of pure relaxation as cathedral bells stop chiming and an Islamic call to prayer rings out. 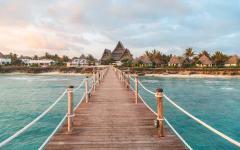 With Zanzibar, you get the best of two vacations: an intimate cultural discovery in addition to the dreamy beaches. This one-week, three-destination tour will take you all around the island. You will begin by visiting the beach. 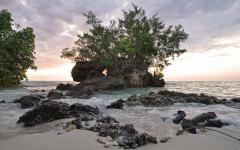 Nungwe is on the island’s most northern tip, with white tidal beaches that are located beneath coral cliffs. You will have a choice of what to do for dinner this evening, with a handful of seafood restaurants in the sand and a couple of beach shacks for sundowners. 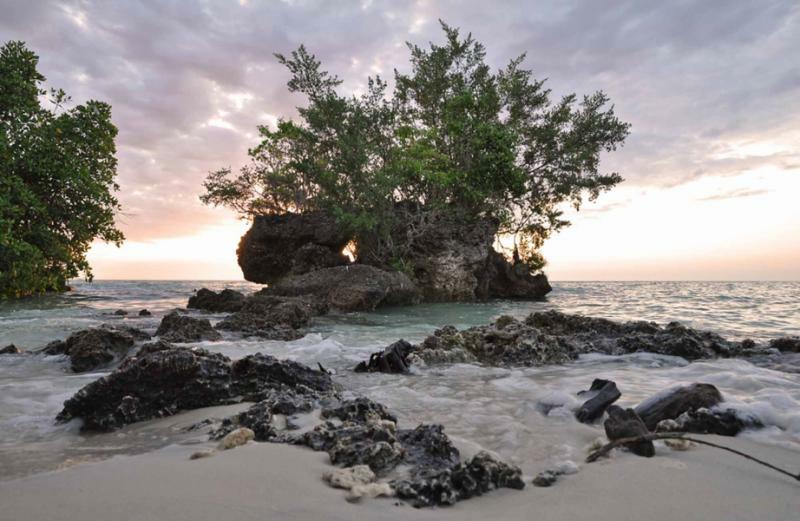 Settle into the island’s vibe here, with an opportunity to go snorkeling on day two, which will be the best part of the island for marine exploration before taking a sunset cruise on a wooden dhow. Two days will be plenty of time to get some sun and get a feel for life on Zanzibar. 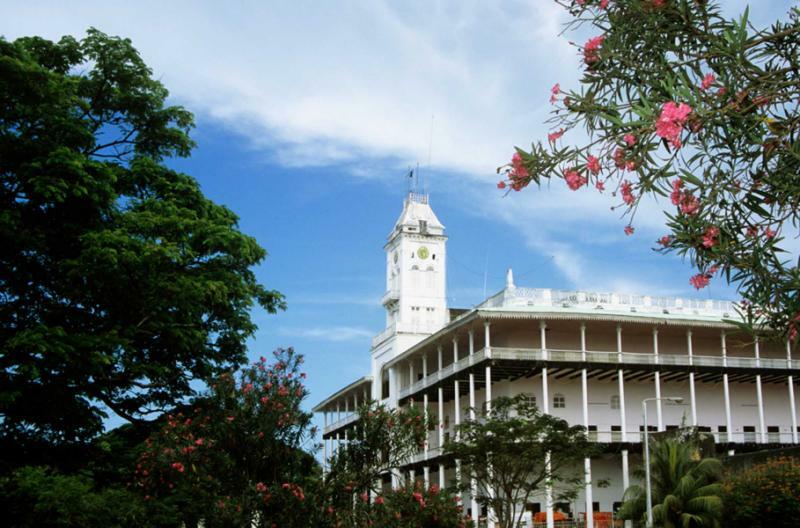 Next, you will head an hour south to Stone Town where you will spend three nights in the World Heritage center amid all the charm of forgotten eras. You can take a private walking tour on day three, and then spend day four on an archipelago cruise, visiting deserted islands and sandbanks. This will be a pretty long day in the sun, but you can mostly stay in the shade on day five when you will visit spice plantations and then learn how these spices are used in local cooking. Evenings will be magical on these three days with a chance to absorb the local culture in a town that is home to so many influences. The quietest, and perhaps most exotic, beaches are located to the southeast. Here, an undeveloped coastline means that you can walk for miles and hardly see another soul. Dongwe will be your base for the final two nights, and there is nothing but the soft, distant sound of the waves for company. Before reaching the small beach resort, you will first stop in Kizimkazi to swim with dolphins, and then in Jozani for experiences with colobus monkeys. Dinner at The Rock will provide a fitting conclusion to this one-week tour of spices and seduction. 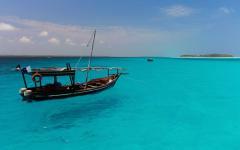 Note that this itinerary of Zanzibar itinerary standalone but can easily be complemented by a Tanzanian safari as well. 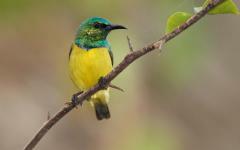 Make sure your perfect vacation is an unforgettable one by seeing additional Tanzania travel ideas. Small coral cliffs will provide the jagged backdrop to Nungwe’s sand, with the beach turning into a series of bays at high tide. At low tide, you can walk for hours. When the water rises, it creates privacy as each beach becomes cut off from the next. Your resort hotel will be perched on these coral cliffs, with barefoot access to the sand and plenty of sunny and shady spaces to lounge throughout the day. 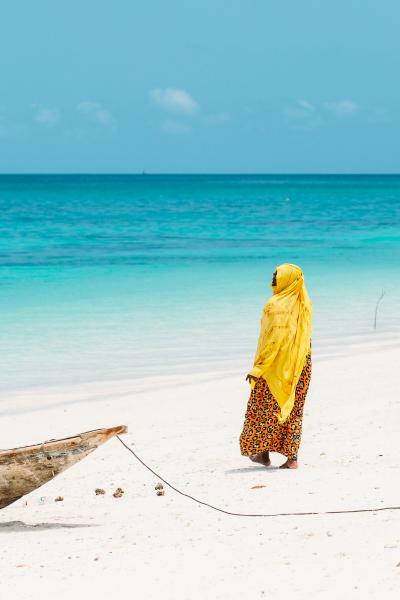 It will be a one-hour transfer from Zanzibar’s only airport, and from this northern tip, the Indian Ocean will seem endless. Just gaze out and soak up the views, especially when the tide comes in and the turquoise colors come so near. Pristine reefs will dot the water all around Nungwe, making this the best area in Zanzibar for snorkeling and scuba diving. It depends on how adventurous you are as the very best reefs require a longer boat ride, while there are some much closer to shore for a shorter excursion. You do not have to go anywhere. This day will be left free, so you can relax on the beach, take a stroll along the sand, choose some marine adventures, and then embark on a wooden dhow in the late afternoon. Dhows are the traditional mode of travel here. They are rounded, wooden boats that once ferried cargo across the ocean to Persia and India. You will cruise on the power of the wind, and drift away as wine bottles are opened and you nibble on a picnic snacks. You can sit back as you cruise along the coral coastline, appreciating how the white beaches are mostly backdropped by indigenous forest. As you keep sailing, dusk will bring lovely changes in hue, as an enormous African sun will drop gently into the ocean. Then, back in Nungwe, you can take your pick from the fish restaurants that range from rustic to absolutely decadent. You will spend a few more hours on the beach this morning. Then, it will be time to get out of the sun. 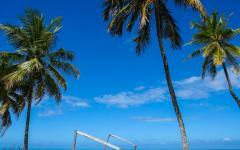 Zanzibar is practically on the equator, and spending a full week on the beach can really take it out of you, even if you are only lounging around. 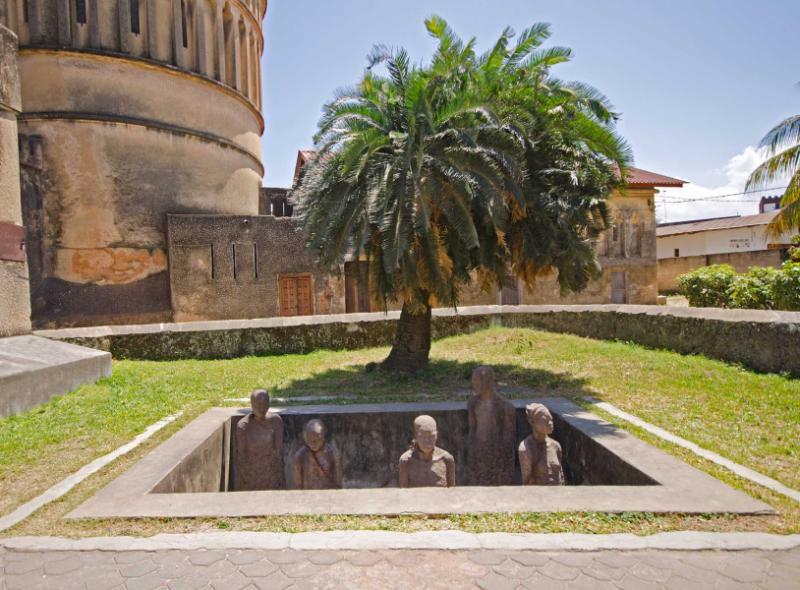 Stone Town is both an exotic and cultural interlude, and once you are inside the World Heritage area, there will be the beauty of early-afternoon shade. You will check into your small, boutique hotel, which will be one of the coral houses for which Zanzibar is now protected as a UNESCO site. Then, you will set off with your walking as you take a sensual tour of the old streets. Footsteps will echo down through the maze as you explore Tippu Tip’s House, which is the former home of the island’s most infamous slave trader. Passing a Hindu temple and an elaborate mosque, you will eventually reach the Anglican Cathedral of Christ. In the murky smells of the Hamamni Baths, you will explore old Persian designs with geometric patterns that twist all around the walls and ceiling. Malindi Mosque is the most picturesque, and you will be allowed to look inside. It is also a beautiful place to be near when the Muezzin makes his call to prayer. Turning and twisting in the maze, you will come out at Darakani Bazaar, which is an evocative market of spices, fish, fabrics, vegetables, batteries, shouting traders, and aromatic ambiance. The old slave market will be nearby, and its story is such a contrast from the opulence of The Old Dispensary and House of Wonders. As sunset draws near, you can check out the Old Fort, perhaps stopping for coffee. As dusk arrives, you will be in Forodhani Gardens, immersed in the sizzle and scent of barbecued seafood. Over the last few hours, the narrative will have gone from Chinese traders to Omani art, and from Persian design to European-inspired architecture. Sandbanks lie deserted to Zanzibar’s west, appearing at low tide. Uninhabited islets are all sand and palm trees as they beckon you forward. Reefs rise like strange knolls, sometimes their tips peeking above the water. Protected from the ocean swell, this swathe of water between Zanzibar and mainland Africa is a shelter for both marine life and private experiences. 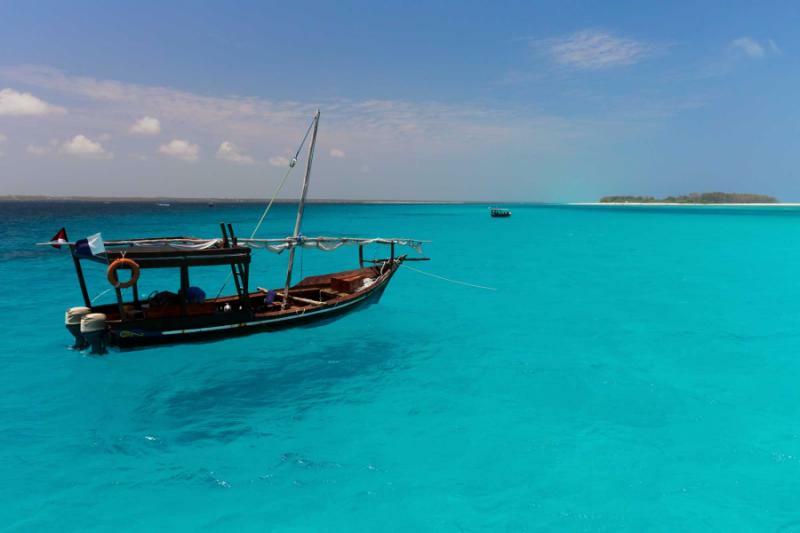 Spend the whole of today on a private dhow tour, cutting a path through the islets and sandbanks. Disembark and go swimming or snorkeling with no other people around. Stop at a sandbank for a barbecue lunch with your feet in the sand. Check out Changuu island and its tortoise population, then sail the afternoon away as a salty breeze ruffles past your ears. Zanzibar is the island of spices, and for centuries it cultivated and traded, sending exotic fragrances as far as China and Northern Europe. Mountains of cloves will tickle your nostrils. Nutmeg and cinnamon grow abundantly, and vanilla is planted alongside cardamom and turmeric. On a private plantation tour, you will explore first with your nose, inhaling the scents that made Zanzibar internationally famous. Fruit such as jackfruit and oranges also grow in in the area. You may sit down to taste and appreciate how it is always better when it comes fresh from the farm. Then, you may take some of these spices to a nearby village and put them to use. All these spices are not native to Zanzibar. 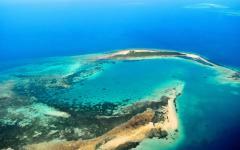 It is just that the climate is ideal for their cultivation and the island has been a trading post for over a millennium. Over that time people have brought different culinary ideas, crafting a Zanzibari cuisine that is a mix of Persia, India, and Africa. You will learn the gastronomic secrets with your chef guide, who will take the freshly procured spices to create dishes like a spiced pilaf, octopus curry, coconut bean soup, and highly fragrant bread. 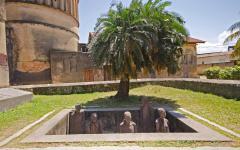 The highlight of staying in Stone Town is that you will later have a third evening in the old maze, walking and exploring like the locals as you feel the evening energy of a very social community. Dolphins will come into the Kizimkazi bay each morning. The shallow waters are home to one of their favorite and most reliable meals, which is a small, abundant fish that also feeds here each morning. 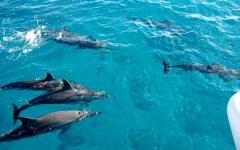 You will need an early start to swim with them because the dolphins will be back out in deep water by around 8 a.m. Just after sunrise, you will encounter large pods, playfully pirouetting through the Indian Ocean waves. You can jump in with one and try to follow, watching how they somersault downwards and then spiral back towards the surface. What is most impressive are the sounds, which will be an orchestra of tweets and squeaks. From Kizimkazi you will stop for a second breakfast en route to Jozani. It will be 9 a.m. now, so the forested national park will not be too busy. Here, you can set off on the trails in search of red colobus monkeys, which is a rare primate that is noticeable for its long, elegant tails and calm gestures. Colobus monkeys like to chill, and they are a symbol of the island, hanging around the branches in beautiful repose and are never flustered by cameras or visitors. 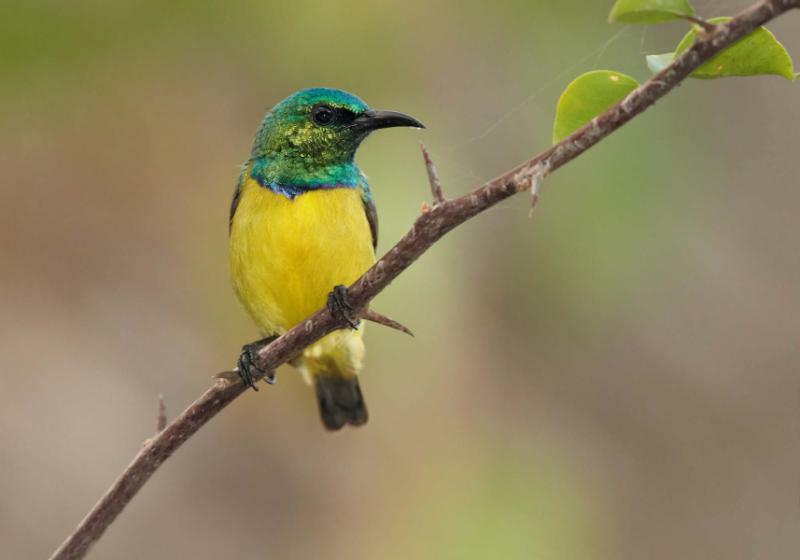 Even after these two wildlife stops, you will reach Dongwe in time for lunch. So, check in, check out the exclusivity of the location, and savor an afternoon of doing nothing it all. 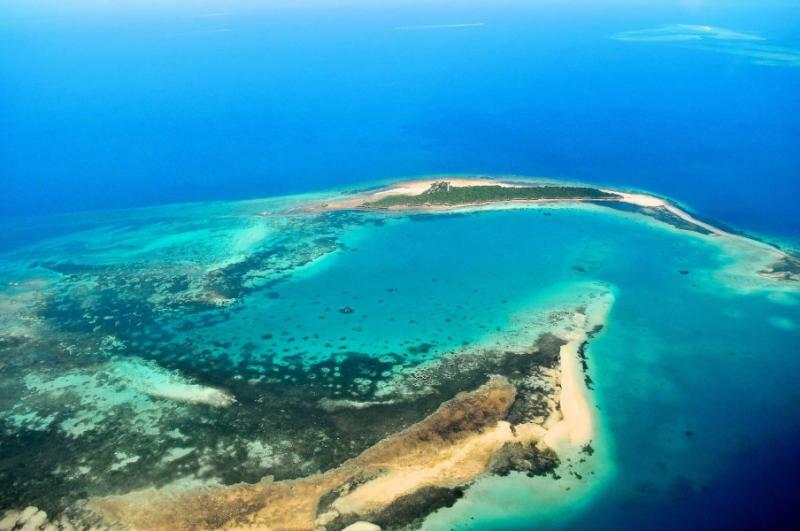 Zanzibar’s southeastern coast is not fully developed. There are a handful of small resorts, and these are well spaced with over a mile between them. Further south from Dongwe, in Jambiani and Paje, you will find a few beach shacks and villas, but mostly the buildings are private residences. 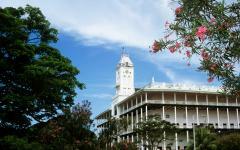 Unlike other Indian Ocean islands, Zanzibar has not been ruined by aggressive construction and large-scale resorts. Your suite will be tucked away in the trees, besides a virtually private beach, and without a noisy or nosy neighbor nearby. While Nungwe has some life and different places to eat and dine, Dongwe is cut off and there is not much to do here, which is probably the reason it is so special. You can walk along the beach, and at low tide, you can walk a marathon on the white sand because it will be so beautiful. Other than a couple of local fishermen, there will be no other people around. Rounding off your week in Zanzibar is The Rock, which is a restaurant that is perched on a coral outcrop, just off the shore. It is the island’s most famous restaurant, serving Italian Zanzibari cuisine and sunset cocktails that you will want to keep ordering. Enjoy some final hours on the beach before a transfer back to Zanzibar Town and the island’s airport. "The team booked the right lodges and ensure everything went smooth." 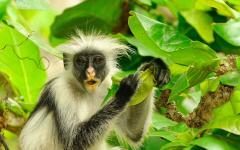 "We had the most amazing trip to Madagascar thanks to this Africa travel company." "Exciting and magical. Milandi put together a wonderful trip and gave us many surprises."